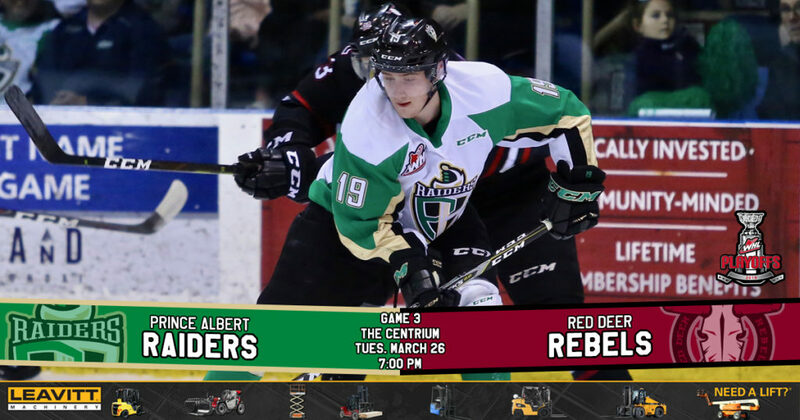 RAIDER REVIEW: The Raiders’ opening round WHL Playoffs series shifts to Red Deer tonight when they take on the Rebels at The Centrium. 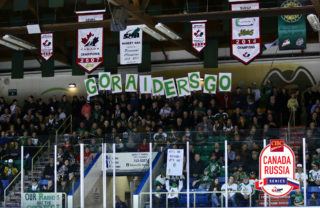 In Game 2 on Saturday night, the Raiders downed the Rebels 6-4 at the Art Hauser Centre. Aliaksei Protas and Sergei Sapego each had two goals and an assist in the win. Dante Hannoun chipped in three assists, while Noah Gregor had a pair of helpers. Brayden Pachal and Ozzy Wiesblatt also scored for the Raiders. Brandon Hagel was the standout for the Rebels, picking up a hat trick in the loss. Ian Scott stopped 19 shots for the win. 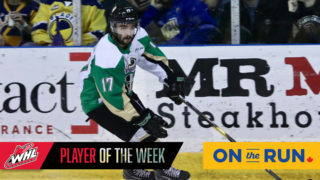 VS. RED DEER: The Raiders lead the best-of-seven series 2-0. The Raiders won the regular season series 3-1-0-0, splitting the two matchups in Red Deer. 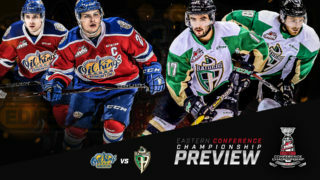 UP TWO: The Raiders took a 2-0 lead in a best-of-seven WHL Playoffs series for the first time since the opening round of the 2005 WHL Playoffs against the Saskatoon Blades. Prince Albert went on to sweep the series. 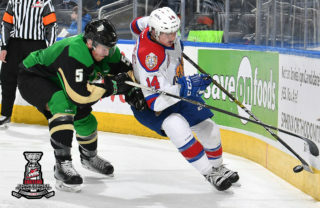 BELARUSIAN EMBASSY: Not only did defenceman Sergei Sapego net his first career WHL Playoffs goal on Saturday night, but it was also the first multi-point performance of his post-season career. It was also his first multi-goal game since the regular season finale of the 2017-18 season. Fellow import Aliaksei Protas also registered his first WHL Playoffs goal while recording the first multi-goal game of his WHL career. 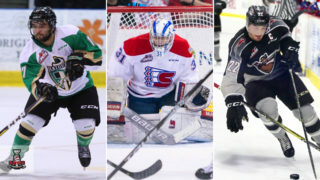 BACK IN THE GOAL COLUMN: After closing out the regular season on an eight-game goalless spell, rookie Ozzy Wiesblatt has scored in the first two games of the 2019 WHL Playoffs. He’s the first Raider rookie to score in consecutive post-season games since Matt Robertson during the 2007 WHL Playoffs. 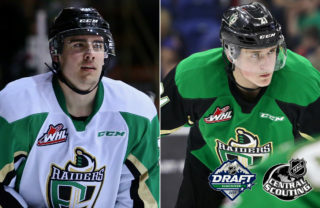 FILLING THE NET: The Raiders’ six goals on Saturday night is the most they have scored in a WHL Playoffs game since scoring seven in a win over the Moose Jaw Warriors on March 28, 2016. NEXT UP: The two teams meet again on Wednesday night in Red Deer for Game 4 of the opening round series. Puck drop is 7 p.m. If necessary, Game 5 will be in Prince Albert at the Art Hauser Centre on Friday night.